... 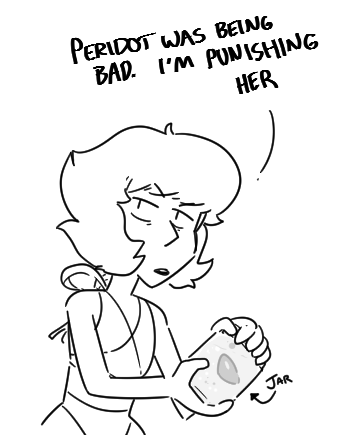 I can't help it, you mentioned having a Steven Universe dream and I instantly imagined you made the same mistake as Jamie the mailman and started flirting with Garnet. Well, it was bound to happen. 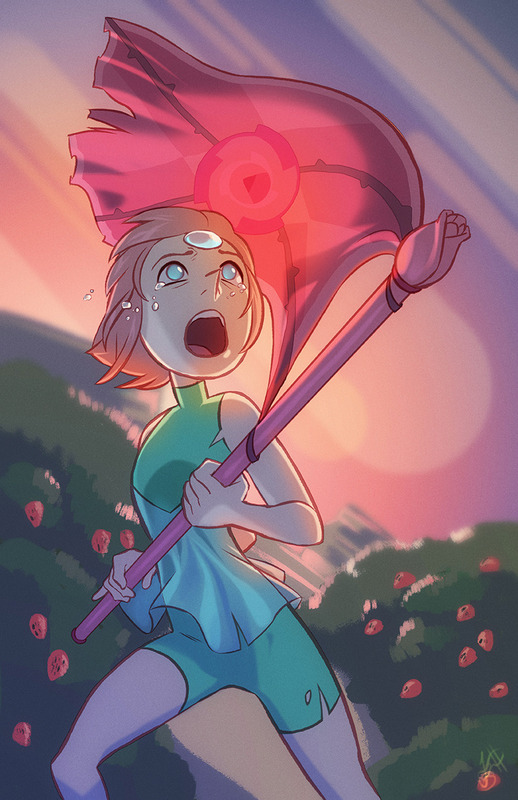 There is now an online Gemsona maker. Which means, of course, I had to fiddle around with it to make my own gemsona. And because I had to create one for myself... here's "Fluorite", using my classic colors of purple & green. 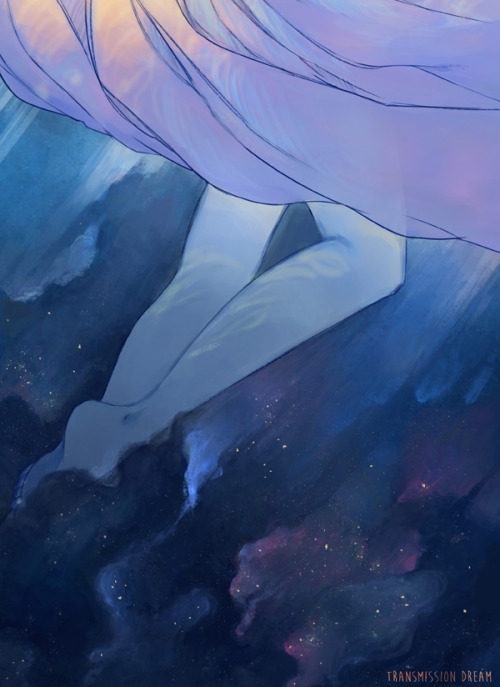 EDIT: Even as I posted it, I felt... "Eh, I can clean that up a bit". So, this is the more updated look for Fluorite. Hey! It's between episodes, and it's been a while since there's been any posts here, so I thought I'd share a few things I've found online. 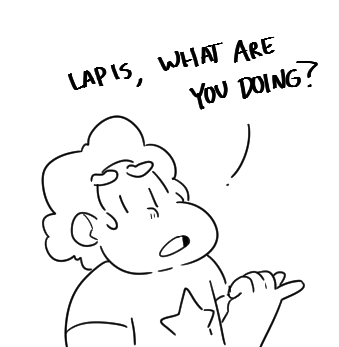 First, there is this quote of Rebecca Sugar that I find personally very inspiring. "It's interesting to be subversive in a positive way, I think that's... that's really my goal. Like, I want that to exist and I want everyone to internalize it. It doesn't have to be cruel to be funny. 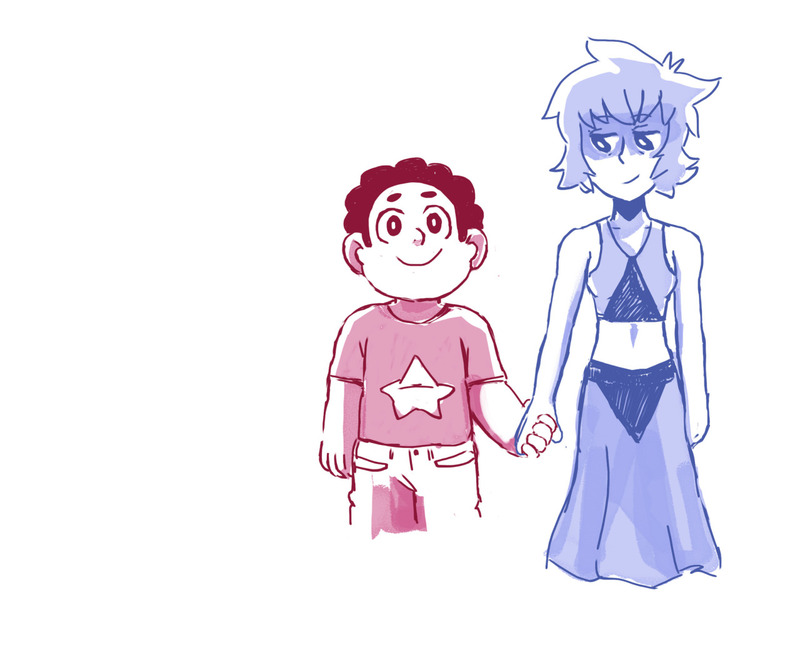 It can just be great to spend time with someone that you really care about... which is what Steven is really to me." 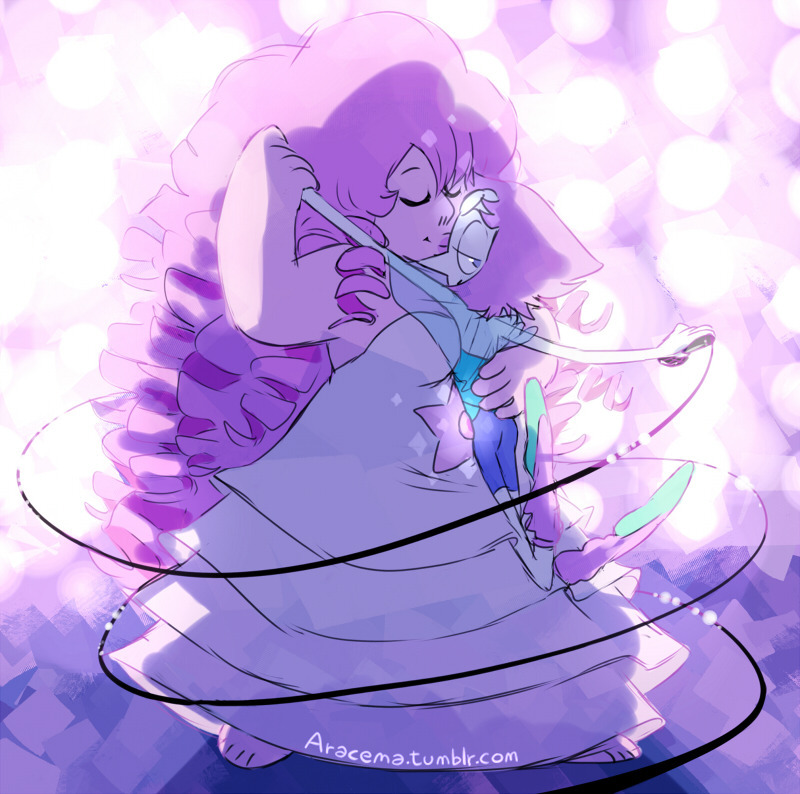 A picture of Rose Quartz dancing with Pearl... who's looking over her shoulder towards the implied Greg. ... and, I'm double-posting because the forum wouldn't let me put too many images in one post, which each panel of those comics is one image. So, I'm going to post another comic and a singular image. 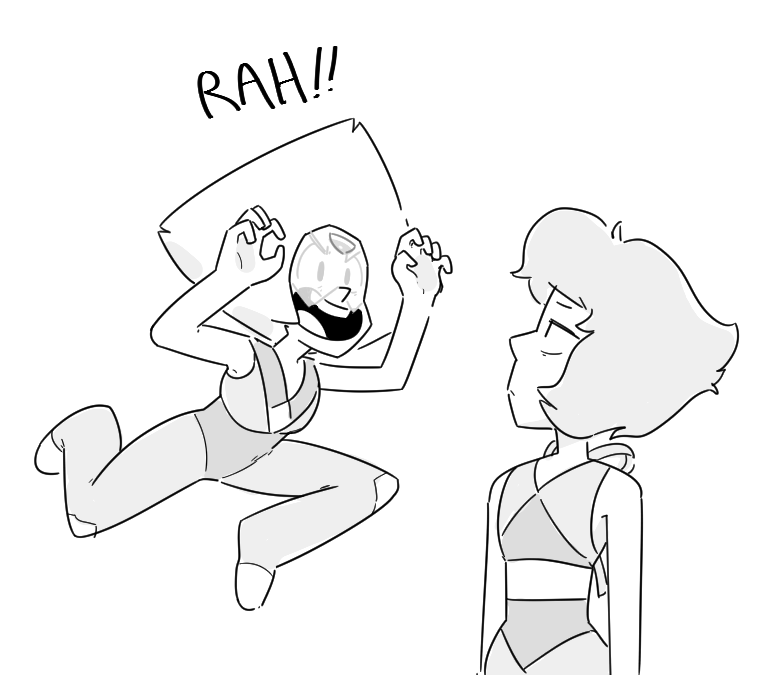 Another little comic of Lapis Lazuli and Peridot interacting. What can I say... 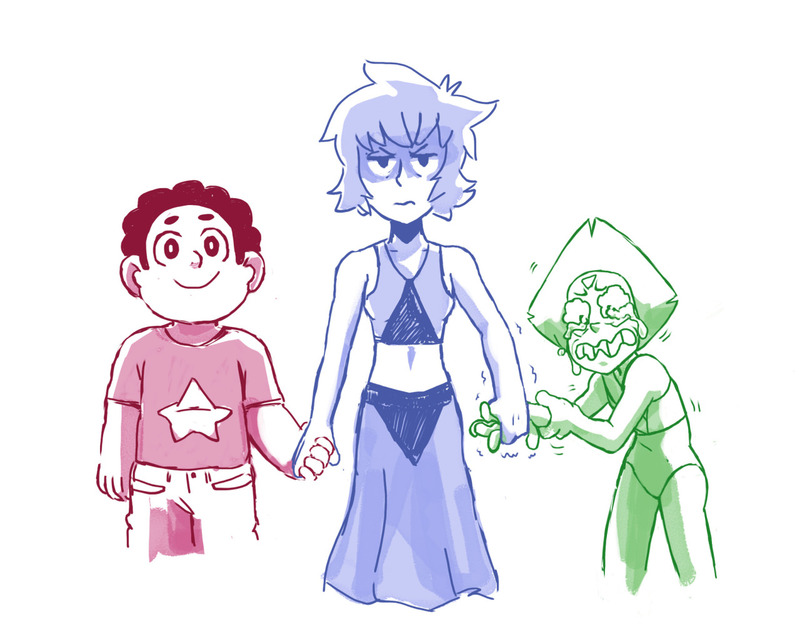 I find the idea of Peridot trying too hard with Lapis and Lapis in turn reacting rather flatly quite amusing. 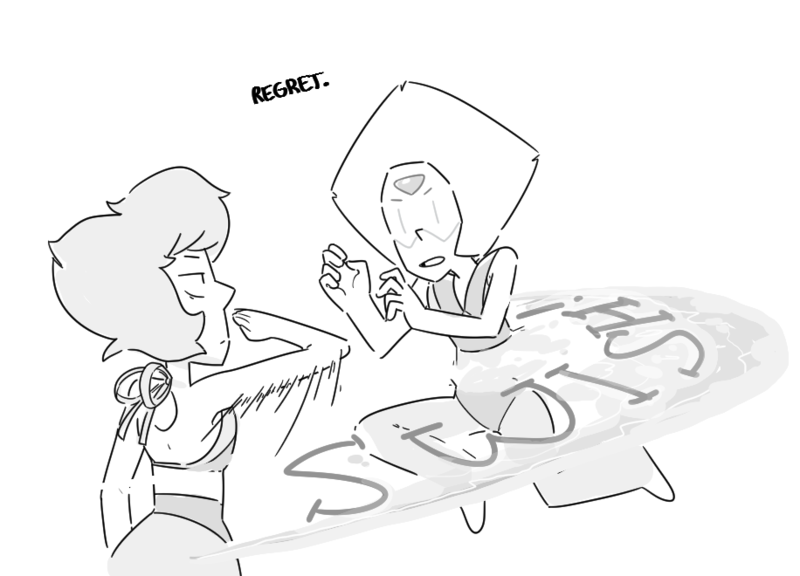 ;) I think it's because Peridot is such an awkward little dork who has made some big mistakes... and it's funny to see a bit of karma come back to her in a way that isn't out right mean. 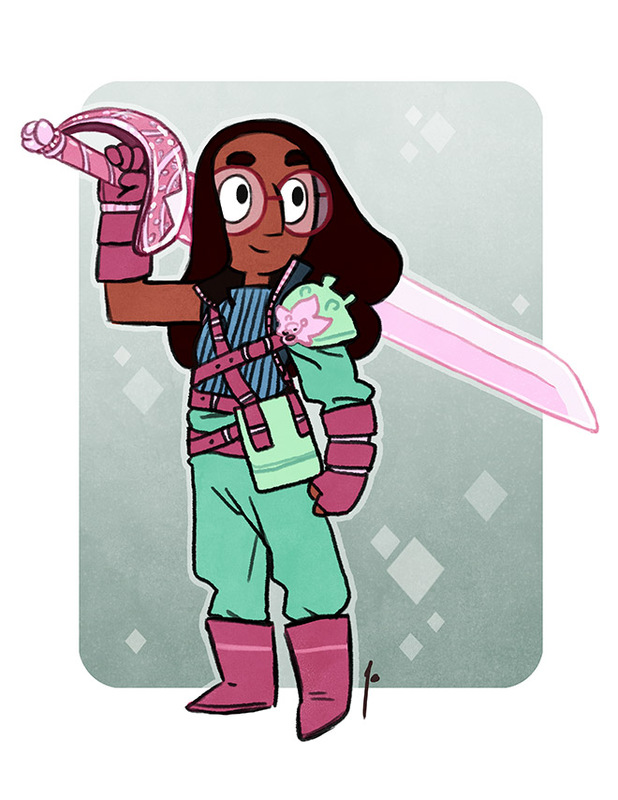 And a cool sword fighting Connie. I really like Connie Maheswaran - she is such a complex and interesting character. I heard that recently as well, Tenjen... interesting to hear all the lyrics to that song. Glad you enjoyed the art as well, so here's some more! And while this is a still from the show, I still love the comment someone shared about it. "Sadie, I see you. I see that wandering hand." Well, Cartoon Network is at it again with the leaks, and the Steven Universe production crew is not happy. The UK site of Cartoon Network has just put up a clip of Steven Universe that's around a minute and twenty seconds long... of a future episode that hasn't aired yet. 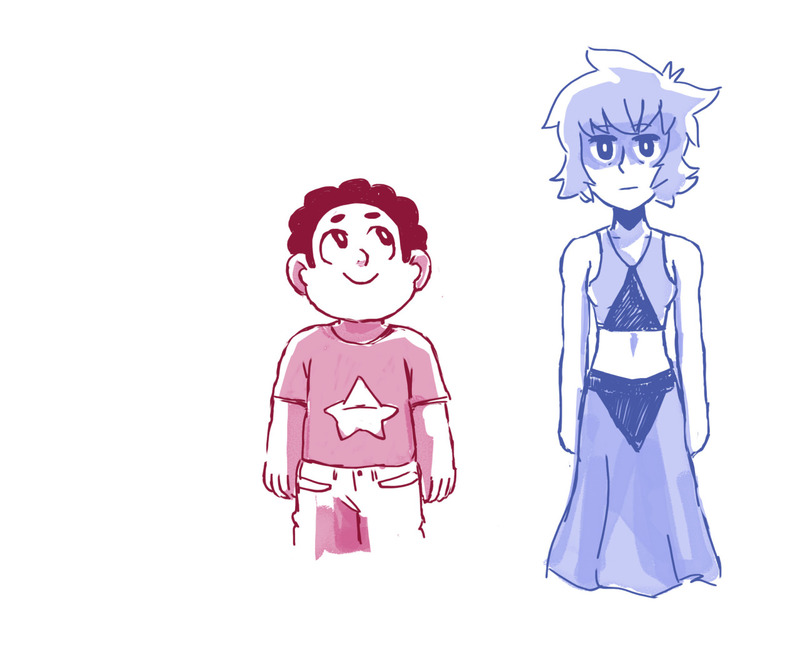 It's extra spoiler-y, and related to the leaked scene Cartoon Network aired that one time during the last Stevenbomb. You have to wonder what they're thinking. Augh. AUGH. *takes a deep breath* AUGH! 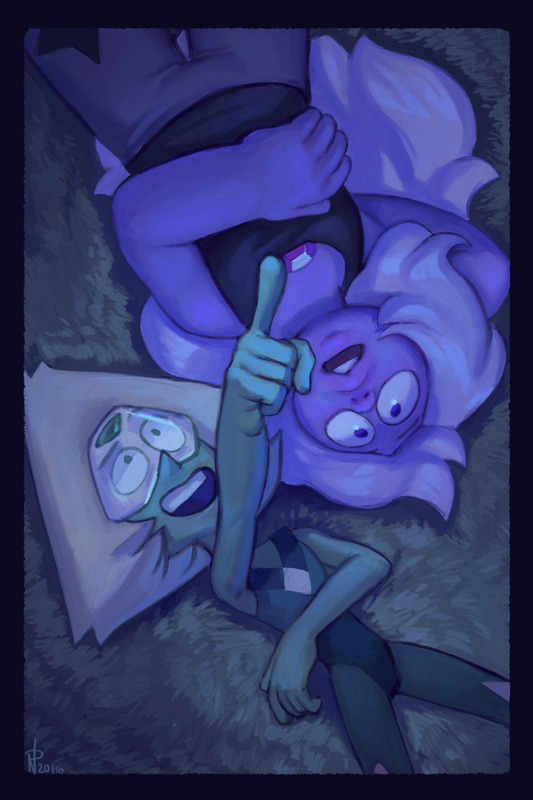 Without looking for it, I accidentally stumbled on what I thought was some fan made original Steven Universe content someone made. It wasn't. It was further material that was leaked. Something that would have been really cool to see in show in the moment, but now it is truly spoiled for me. Gah. I'm not happy. Many people have seen Thomas Sander's vines... he's the fellow who does the narrating random people on the street clips? 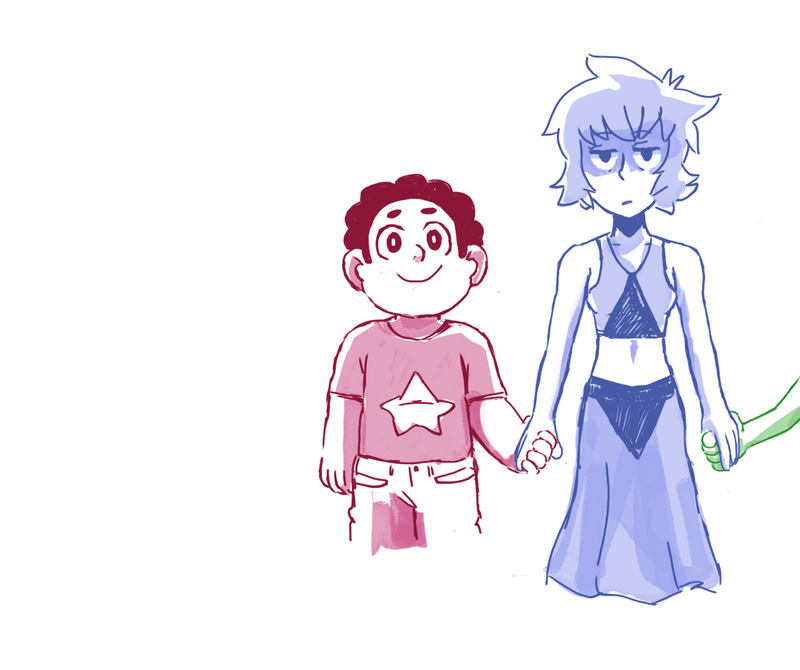 He did a funny one about Gem Fusions. 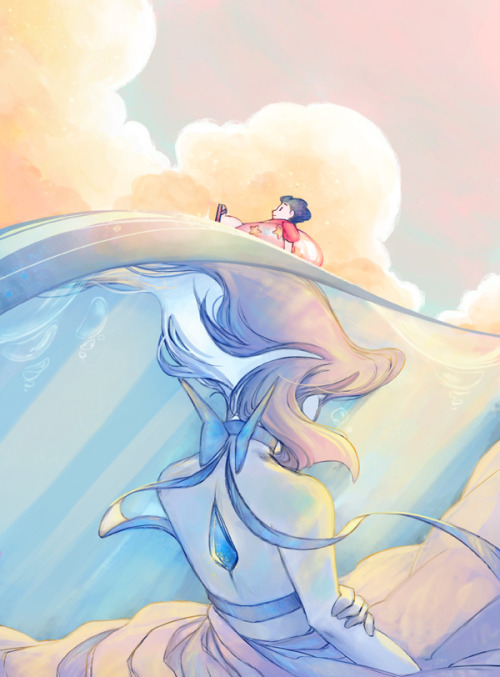 And finally, a picture someone did of Lapis Lazuli that I really liked. Heh, Tenjen beat me to it. 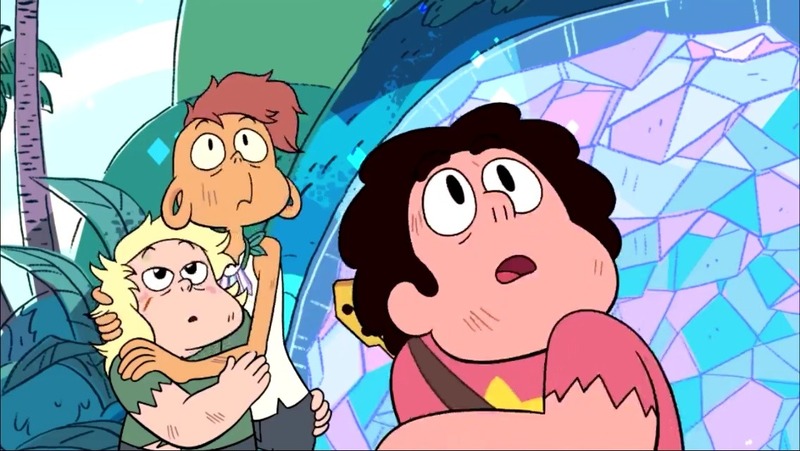 Word I'm hearing is that it won't be an "every week a new Steven Universe" situation, but there should be several new Steven Universes in June. Also, apparently we're still not completely finished with season 2. Which means that there are still a few episodes left before the 3rd season starts... and the idea of at least three more full seasons is really appealing. Sounds like they'll be doing what they've been doing with Adventure Time and Regular Show, which isn't bad, you know. I just wish they would do a very firmly regular schedule. I'm tired of all this chaos in the schedules. 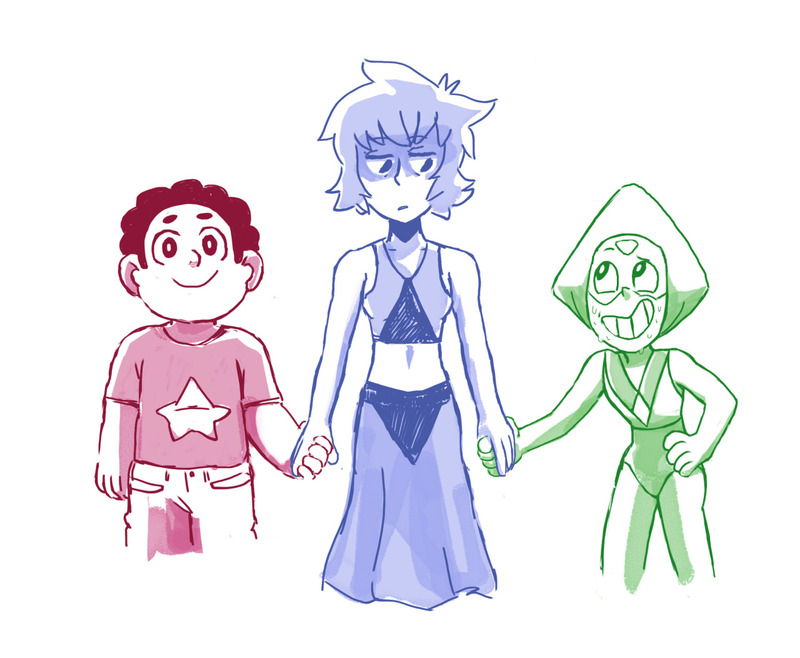 SU info right from Rebecca Sugar!